I ordered two electric garage doors which I believe are excellent value for money and of sturdy construction. They were delivered to me (in North Scotland) when they said they would be, without incident, and arrived well packed and so were undamaged. They were fairly straightforward to assemble with two people and they look great. I had one small simple problem with one of the fobs, which I phoned them about, and they quickly and helpfully advised me how to fix it. Haven't had a problem since. Would definitely recommend - I will be using them again in the very near future with my next building project. Just had the two doors fitted and wanted to say thanks to you for all your help and advice and the fitters (Jason and John, I think it was) for a fast, efficient and clean removal of doors and frames and installation of the two RD55 Superior doors. If anyone is looking for a new garage door, I won't hesitate in sending them your way! Firstly I just wanted to congratulate you on a superb product. I've bought many things over the years and I always do plenty of research to find the best quality. I have to say I am (and so's the wife) completely over the moon with our new garage door. Form start to finish your customer service and quality of product has been outstanding. If only more businesses were like you. It took me the best part of 5 hours yesterday (on my own for most of it) to remove the old door and install this new roller door. The instructions provided were great and easy to follow, the guide runners were cut perfectly to size so no extra cutting needed. The one bit I got stuck on when wiring the motor was quickly fixed as I rang your office number, not expecting anyone to be there on the weekend, but got through to a helpful chap who quickly told me what to do ( whilst on his mobile climbing up Warwick castle). Classic! For the money this is a superb market leading product. Two local firms quoted me £1400 inc vat to install the same product and take away the old door. I've sold my old door on eBay for £30, happy days. My neighbour has been out with his tape measure today so expect an order soon from Mr Keith Moss very soon. The only feedback I can give to help the DIY installers out there would be a few more pictures in the instructions, or maybe a YouTube video, if not one already. Thanks again to all at Rollerdor, from a very happy customer. 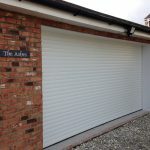 Hi Colin, just to say thanks for all your help with my order, all fitted well and is working took me longer to take off the old garage door than fit the new one. I am berry happy with the finish and product. I will definitely recommend your product to the people of guernsey, hopefully you might see some orders flowing in. 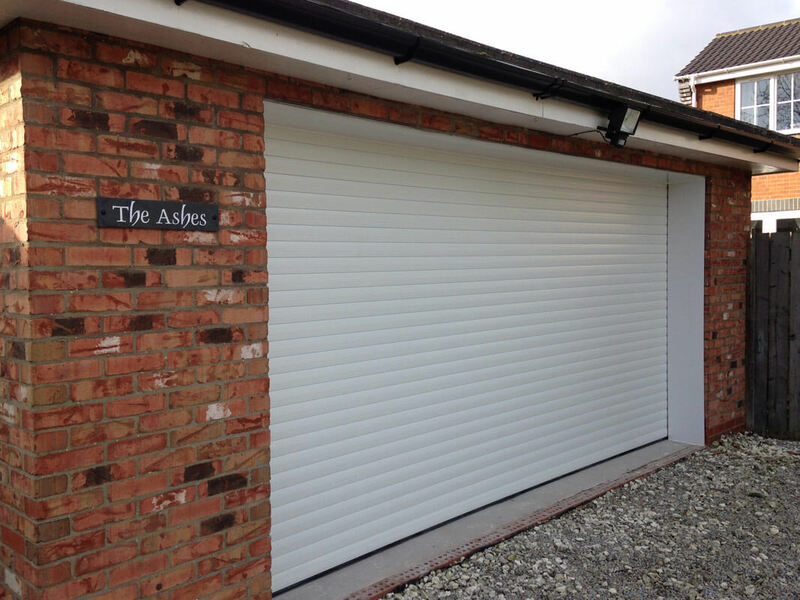 Just thought I would let you know that my wife and I are delighted with the RD55 roller shutter door which we installed just this weekend, it fitted perfectly and in general was relatively easy to install thanks to your precise instructions. I am delighted with the new door, it looks right and works superbly. I found Gary’s advice, when he did the survey very helpful. 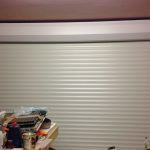 Our bungalow is not a standard construction and he explained in detail what I needed to do to create a frame that would facilitate a roller door. Following his instructions I built a frame and closed of the cavity and the new door was fitted as easily as a very large garage door could be fitted. Gary and John did an excellent job and I enjoyed the banter between them. They got stuck into the task of fitting the door and never wasted a minute - it was coffee whilst working! They made every effort to ensure that the finished door trim looked neat and tidy, not easy when the brickwork is not consistently flush. They explained the mechanics of the door and all the niceties of its operation and maintenance - great, very helpful. The bonus was that they took away the old large metal up and over door. The new door looks impressive and everyone who has seen it has commented favourably on its appearance and operation. I am delighted, so far, with the quality of the materials, mechanics, electronics and ease of use of the door which I think was supplied and fitted at a competitive price. The peace of mind that goes with a 5 year warranty is something worth having. The garage feels more secure and the the seal is great except for the undulations in the floor - corrective action has been added to my to-do-list. Thank you the Rollerdor team you have another very satisfied customer. The door arrived yesterday as scheduled and today me and the wife installed it, a not too difficult task. Your product is fantastic and we are very pleased with every aspect. Attached a couple of pictures of the dramatic changes of before and after. Many, many thanks and we wish you a busy future, we will certainly be recommending you. I would like to thank you and your fitters who came today for their professional service and quality fitting/product received. Works a treat and we are pleased. Will pass on your details to our friends who are interested in having some electric doors fitted to there new property they have just purchased. In August of this year (2016) we invited Rollerdor to quote us on a new automated garage door. From the outset they have provided us with an extremely professional service. Mathew organised a time and date that suited us to provide an estimate/quote and work carried out within our preferred timescale. This was all done simply, effectively and without any fuss. On the day their two engineers arrived exactly on time, carried out the construction with little disturbance to ourselves and left with no trace of debris. Later that afternoon I noticed a small deep scratch after cleaning the door which was noticeable. After contacting the company they organised a replacement without issue within a few days and we are now proud owners of a very smart automated garage door! Just to say thanks for the repair of my garage door. Sam certainly knew his stuff and told me some interesting and helpful information about the door. 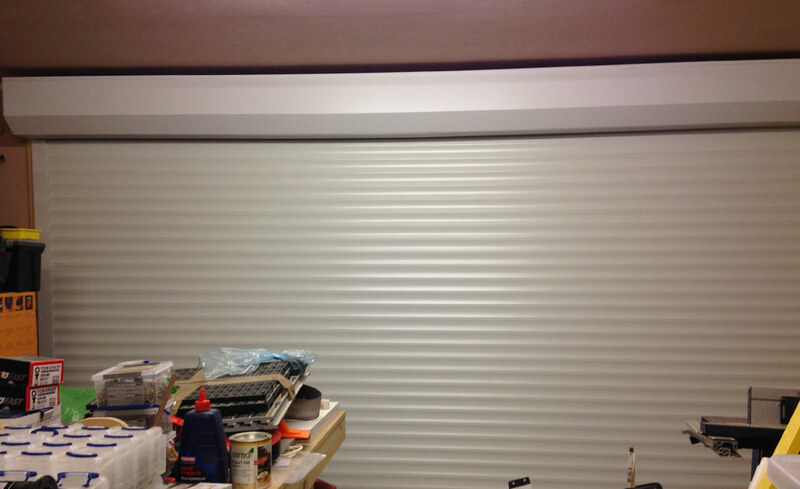 I wish to compliment Rollerdor, both on the excellent door recently fitted and the two fitters Reece and Leigh. The door fitted perfectly and exceeded my expectations. The fitters were excellent and professional. I had all my questions satisfied and full tuition on the door operation. I would not hesitate to recommend your Company and would be pleased to show-off my workshop door by appointment. From my initial phone call, I have experienced a first class service. Just a quick note to say thank you for the excellent service your company gave from order placement to delivery. I have fitted the garage door and I am extremely happy with it and it has added a touch of class to my house. I don't usually recommend anything as it generally leads to some bad feelings when things go wrong but, I would definitely recommend your company as I feel that you and your staff actually have a passion for the work. Thanks for getting my door fixed and a good quality service. My wife as just called me at work and said they the engineers did a good job. I wouldn't hesitate in recommending your company to friends and family. Once again thank you for good service. Many thanks for the speedy delivery of my garage door can I say what a brilliant garage door it is and was so simple to fit and wire up think it took me under 2hours and that includes taking the old one out I'll definitely be telling others about this many thanks. and the fitters were quick, efficient and polite. Warlingham, we would be happy to show them. the service I experienced I have not seen any where for a very long time I was not kept waiting my order was brought out to my car and I was on my way home all so quickly that I was unable to say thank you to you and your staff. keep up the great service and wish you and your staff a very big thanks. I just wanted to thank you so much for your help in purchasing a new remote for the garage door. All of you have been fantastic from your help at the beginning to the actual pairing of the fob to the door, if only all companies had staff like you, don't change anything you're fantastic as you are! Fantastic service from quote to installation. Excellent work from James & Leigh, can't fault anything and they were more than happy to help in any which way they could.I'll happily be recommending Rollerdor to everyone that asks! We Would like to thank Rollerdor on behalf of the team at Safety Guide ltd for the kind help and support the business have gave for the educational booklets going into the Clover Hill VA Infant and Nursery School,We are always striving towards helping the children in as many ways as possible for there future. Thankyou from all the team at Safety Guide..
Rollerdor is a great company offering a great customer experience, as well as quality products. I just had a double garage door fitted to replace my ageing doors, and I couldn't be more happy with the results. Really nice head office personnel to discuss requirements over the phone with and first class knowledgeable engineers visiting the premises. I wouldn't hesitate to highly recommend Rollerdor to anyone! I've had a Rollerdor for 3 years without problem. On one occasion I broke the door straps by shutting it onto an object and I can say the after sales service is second to none. Simply outstanding. Highly recommend the manufacturer and getting a door with a safety switch to prevent damage when closing on an object in error. For the second time after a hiccup with my Rollerdoor. I have to praise this company for the quick response and their efficiency in sorting the problem. When they installed the door a while ago they were once again very efficient, when I had a problem with the Fob for the electric door they turned up replace both fobs and the receiver no problem. A very good company to deal with. Great service. Clean fitting. Helpfull fitters. Perfect. Recommended.